Microbial ecological considering why they are there and how many are they there and why are the centered questions for my research on microbes/or living existence on and in the Earth. Hot spring, marine system and subsurface are the exciting environments to study sites. Microbial function in forest ecosystem and soil formation which leads us to consider life in Mars are fascinating topics being attacked in our laboratory, too. Enclosure experiment on the control mechanism of planktonic bacterial standing stock. Kato,K., Oh,S., Yamamoto,H., Hanazato,H. & Takahashi, M. Ecoligical Research 7:267-276(1992). Image analysis of feeding activity of aquatic oligochaetes using fluorescent latex beads. Takada,K., Kato,K., and Okino,T., Verh. Internatinal Verein. Limnology, 25:236-240(1994). Planktonic bacterial DNA and RNA synthesis from algal extracellular products in a eutrophic lake. 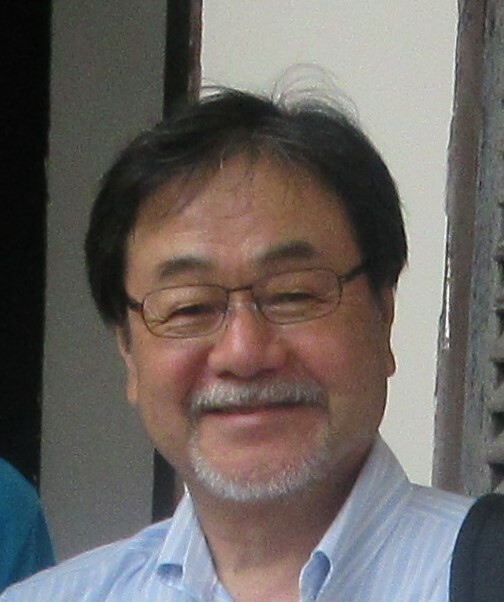 Kenji Kato. FEMS Microbiology Ecology, 15:291-298(1994). Free-living and aggregated bacteria as diet for mosquito larvae:an experiment with Aedes (Stegomyia) and Pseudomonas. Sota,T. and Kato,K. Applied Entomology Zoology, 29:598-600(1994). Phage-like particles released by a marine bacterium. Chiura, H., Kato, K., and Takagi, J. Wiener Mitteilungen Wasser Abwasser Gewasser, 128:149-157(1995). Deveopment of Eodiaptomus japonicus Burckgardt different size fractions of natural plankton assemblage. Toth, L.G. and Kato, K., J.Plankton Research, 18:819-834(1996). Bacteria – a link among ecosystem constituents. Kato,K. Researchers on Population Ecology, 38: 185-190(1996). Size selective grazing of bacteria by Bosmina longirostris – an image analysis study. Toth L.G. and Kato, K. Journal of Plankton Research, 19:1477-1493 (1997). Phylogenetic evidence for the existence of novel thermophilic bacteria in hot spring sulfur-turf microbial mats in Japan. Yamamoto, H., Hiraishi, A., Kato, K., Chiura, H., Maki, Y., and Shimizu, A. Applied and Environmental Microbiology, 64:1680-1687(1998). An insight into bacterial population dynamics using image analysis -a diurnal study in L.Soyang, Korea. Choi, S., Ahn, T., and Kato, K. Archiv. Hydrobiol. Spec. Issue, 54:283-295 (1999). A new structural type of methionaquinones isolated from hot spring sulfur-turf bacterial mats. Hiraishi, A., Yamamoto, H., Kato, K., and Maki, Y. J.Gen. Applied and Environmental Microbiology, ,45:39-41 (1999). Quinone profiles in lake sediments:implication for microbial diversity and community structures. Hiraishi, A. and Kato, K. Journal of General and Applied Microbiology, 45：221-227（1999). Contribution of free-living and attached bacteria to denitrification in the hypolimnion of a mesotrophic lake.D.S.Abe and K.Kato. Microbes and Environment, 15:93-101(2000). Adosorption of rare earth elements onto bacterial cell walls and its implication for REE sorption onto natural microbial mats. Toshio Takahashi, X. Chatellier, Keiko Hattori, Kenji Kato and Danielle Fortin, Chemical Geology. 219:53-67 (2005). Microbial community in a geothermal aquifer associated with the subsurface of the Great Artesian Basin, Australia. Hiroyuki Kimura, Maki Sugihara, Hiroyuki Yamamoto, Bharat K.C. Patel, Kenji Kato and Satoshi Hanada. Extremophile 9: 407-414 (2005). Sphingosinicella microcystinivorans gen. nov., sp. nov., a microcystin-degrading bacterium. Maruyama, T., H-D. Park, Y. Tanaka, T. Sumino, L. Hamana, A. Hiraishi and K. Kato. International Journal of Systematic and Environmenary Microbiology, 56: 85-89 (2006). Exploring Subseafloor Life with the Integrated Ocean Drilling Program. Steven D., Fumio, I., Timothy F., Barker B. J., Kenji K., Paul K., Patricia S., Mitchel S. and Ken T. Scientific Drilling, (5), 3 (2007). Planktonic bacterial population dynamics with environmental changes in coastal areas of Suruga Bay. Takayuki Takenaka, Tomokazu Tashiro, Ayumi Ozaki, Hitomi Takakubo, Yutaka Yamamoto, Tomoko Maruyama, Kazuyo Nagaosa, Hiroyuki Kimura, Kenji Kato. Microbes and Environments, 22: 257-267 (2007). Selective phylogenetic analysis targeting 16S rRNA genes of hyperthermophilic archaea in the deep-subsurface hot biosphere. Hiroyuki Kimura, Jun-Ichiro Ishibashi, Harue Masuda, Kenji Kato, Satoshi Hanada. Applied and Environmental Microbiology, 73: 2110-2117 (2007). Active bacterial populations and grazing impact revealed by an in situ experiment in a shallow aquifer. Kazuyo Nagaosa, Tomoko Maruyama, Nihal Welikara, Yohei Yamashita, Yui Saito, Daniel Fortin, Kenji Nanba, Iku Miyasaka, Sakae Fukunaga and Kenji Kato. Geomicrobiology Journal 25: 131-141 (2008). Denitrification activity and relevant bacteria revealed by nitrite reductase gene fragments in soil of temperate mixed forest. Chie Katsuyama, Naho Kondo, Yuichi Suwa, Takao Yamagishi, Masayuki Ito, Nobuhito Ohte, Hiroyuki Kimura, Kazuyo Nagaosa, Kenji Kato. Microbes and Environments 23:337-345 (2008). Complementary cooperation between two syntrophic bacteria in pesticide degradation. Chie Katsuyama, Shinji Nakaoka, Yasuhiro Takeuchi, Kanako Tago, Masahito Hayatsu, Kenji Kato. Journal of Theoretical Biology, 256:644-654 (2009). Unique distribution of deep groundwater bacteria constrained by geological setting. Kenji Kato, Kazuyo Nagaosa, Hiroyuki Kimura, Chie Katsuyama, Katsunori Hama, Takanori Kunimaru, Urumu Tsunogai, Kazuhiro Aoki. Environmental Microbiology Reports 21:480-489 (2009). Biomass production and energy source of thermophiles in a Japanese alkaline geothermal pool. Hiroyuki Kimura, Kousuke Mori, Hiroaki Nashimoto, Shohei Hattori, Keita Yamada, Keisuike Koba, Naohiro Yoshida, Kenji Kato. Environmental Microbiology 12:480-489 (2009). Culture-independent estimation of optimal and maximum growth temperatures of archaea in subsurface habitats based on the G+C content in 16S rRNA gene sequences. Hiroyuki Kimura, Kousuke Mori, Tomokazu Tashiro, Kenji Kato, Toshiro Yamanaka, Jun-Ichiro Ishibashi, Satoshi Hanada. Geomicrobiology Journal. 27:114-122 (2010). Microbial methane production in deep aquifer associated with the accretionary prism in Southwest Japan. Hiroyuki Kimura, Hiroaki Nashimoto, Mikio Shimizu, Shohei Hattori, Keita Yamada, Keisuke Koba, Naohiro Yoshida, Kenji Kato. The ISME Journal 4:531-541 (2010). Population dynamics of Crenarchaeota and Euryarchaeota in the mixing front of river and marine waters. Do Manh Hao, Tomokazu Tashiro, Miharu Kato, Rumi Sohrin, Chie Katsuyama, Kazuyo Nagaosa, Hiroyuki Kimura, and Kenji Kato. Microbes and Environments 25:126-132(2010). In situ biomass production of a hot spring sulfur-turf microbial mat. Hiroyuki Kimura, Kousuke Mori, Hiroaki Nashimoto, Satoshi Hanada, Kenji Kato. Microbes and Environments 25: 140-143(2010). Male dimorphism in a new interstitial species of the genus Microloxoconcha(PODOCOPIDA:OSTRACODA). Ryouichi Higashi, Akira Tsukagoshi, Hiroyuki Kimura and Kenji Kato. Journal of Crustacean Biology, 31:142-152(2011). Contribution of anammox bacteria to benthic nitrogen cycling in a mangrove forest and shrimp ponds, Haiphong Vietnam. Teruki Amano, Ikuo Yoshinaga, Takao Yamagishi, Chu Van Thuoc, Pham The Thu, Shigeno Ueda, Kenji Kato, Yoshihiko Sako and Yuichi Suwa. Microbes and Environments 26:1-6(2011). Occurrence and potential activity of denitrifiers and methanogens in groundwater at 140 m depth in Pliocene diatomaceous mudstone of northern Japan. Katsuyama, Chie, Nashimoto Hiroaki, Nagaosa, Kazuyo, Ishibashi Tomotaka, Kinoshita Takeshi, Yoshikawa Hideki, Aoki Kazuhiro, Asano Takahiro, Sasaki Yoshito, Sohrin Rumi, Komatsu Daisuke, Tsunogai Urumu, Kimura Hiroyuki, Suwa Yuichi, Kato Kenji , FEMS Microbiology Ecology, 86(3): 532-543 (2013), doi: 10.1111/1574-6941.12179. Characterization of Particulate Matters in the Pripyat River in Chernobyl Related to Their Adsorption of Radiocesium with Inhibition Effect by Natural Organic Matter. Hiroki Suga, Qiaohui Fan, Yasuo Takeichi, Kazuya Tanaka, Hiroaki Kondo, Vladimir V. Kanivets, Aya Sakaguch, Kenj Kato, Nobuhto Inam, Kazuhko Mase, Kanta Ono and Yosho Takahash, Chemistry Letters. 43, 1128－1130(2014). doi:10.1246/cl.140222. Microbes in groundwater of a volcanic mountain, Mt. Fuji; 16S rDNA phylogenetic analysis as a possible indicator for the transport routes of groundwater. Takuya Segawa, Ayumi Sugiyama, Takeshi Kinoshita, Rumi Sohrin, Takanori Nakano, Kazuyo Nagaosa, Darius Greenidge, Kenji Kato. Geomicrobiology Journal, 32: 677-688(2015). doi: 10.1080/01490451.2014.991811. Effects of warming on microbial communities in coastal waters of temperate and subtropical zones in Northern Hemisphere with a focus on Gammaproteobacteria. Dao Thi Anh Tuyet, Toshinari Tanaka, Rumi Sohrin, Do Manh Hao, Kazuyo Nagaosa, Kenji Kato. J.Oceanography, 71:91-103(2015). doi: 10.1007/s10872-014-0264-2. Transfer of rare earth elements (REE) from manganese oxides to phosphates during early diagenesis in pelagic sediments inferred from REE patterns, X-ray absorption spectroscopy, and chemical leaching method. Yoshio Takahashi, Yasutaka Hayasaka, Koichi Morita, Teruhiko Kashiwabara, Ryoichi Nakada, Matthew A. Marcus, Kenji Kato, Kazuya Tanaka, Hiroshi Shimizu, Geochemical Journal, 49:653-674 (2015). Tracking the direct impact of rainfall on groundwater at Mt. Fuji by multiple analyses including microbial DNA. Ayumi Sugiyama, Suguru Masuda, Kazuyo Nagaosa, Maki Tsujimura, and Kenji Kato, Biogeosciences Discussion paper. (2016) doi:10.5194/bg-2016-78. Sorption behavior of Np(V) on microbe pure culture and consortia. Toshihiko Ohnuki, Naofumi Kozai, Fuminori Sakamoto, Satoshi Utsunomiya, Kenji Kato, Chemistry Letters,46:771-774 (2017) doi: 10.1246/cl.170068. Comparison of solid-water partitions of radiocesium in river waters in Fukushima and Chernobyl areas. Yoshio Takahashi, Qiaohui Fan, Hiroki Suga, Kazuya Tanaka, Aya Sakaguchi, Yasuo Takeichi, Kanta Ono, Kazuhiko Mase, Kenji Kato and Vladimir V. Kanivets, Scientific Reports 7, Article number: 12407 (2017) doi:10.1038/s41598-017-12391-7. Tracking the direct impact of rainfall on groundwater at Mt. Fuji by multiple analyses including microbial DNA. Ayumi Sugiyama, Suguru Masuda, Kazuyo Nagaosa, Maki Tsujimura, and Kenji Kato, Biogeoscience, 15: 721-732 (2018) doi:org/10.5194/bg-15-721-2018.